Experience a breezy new take on your fitness schedule and choose from more than 75 professionally taught yoga classes including Power Vinyasa Yoga, Happy Bodies Yoga, Meditation and more. Fitness classes are targeted to beginner and intermediate practitioners. Guests should provide their own mat and water bottle. Classes begin Wednesday, May 1 and run through Monday, September 30 All classes are held outdoors. Please dress accordingly. 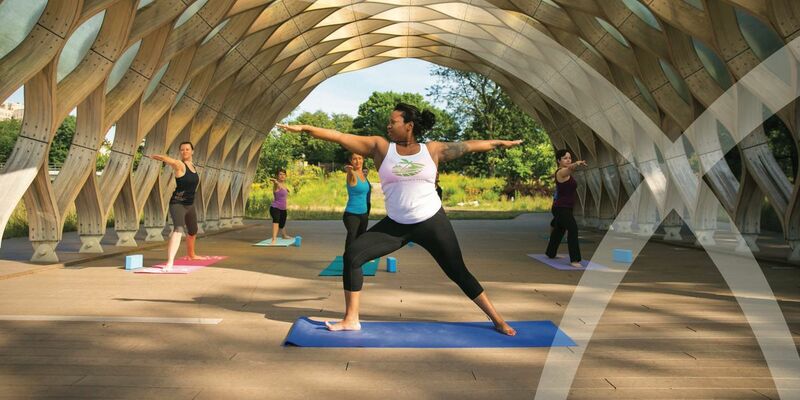 Fitness at the Zoo is held rain or shin at the Nature Boardwalk Peoples Gas Pavilion! A fitness instructor will always be present at the Nature Boardwalk Peoples Gas Pavilion at the time of each class. As long as there are willing participants, the instructor will hold class, except in the case of severe weather in which an email will be sent to all pre-registered guests. 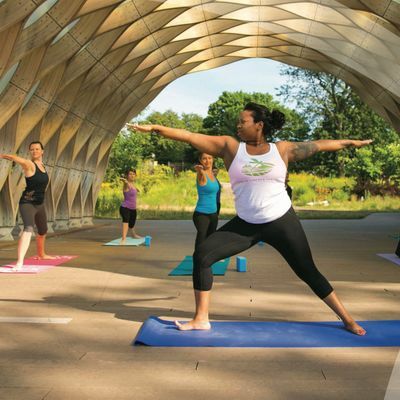 Lincoln Park Zoo Members receive a 10% discount off of all yoga class passes! Enter the first three digits of your membership code in the "Enter Promo Code" section to redeem your savings.